Data published on the web following the principles of linked data has resulted in a global data space called the Web of Data. These principles led to semantically interlink and connect different resources at data level regardless their structure, authoring, location, etc. The tremendous and continuous growth of the Web of Data also implies that now it is more likely to find resources that describe real-life concepts. However, discovering and recommending relevant related resources is still an open research area. This chapter studies recommender systems that use linked data as a source containing a significant amount of available resources and their relationships useful to produce recommendations. Furthermore, it also presents a framework to deploy and execute state-of-the-art algorithms for linked data that have been re-implemented to measure and benchmark them in different application domains and without being bound to a unique dataset. The Web of Data has emerged as a way to make the Web machine-readable, relying on structured data that follow the Linked Data principles (Moyano, Sicilia, & Barriocanal, 2018). Thanks to the rise of the Web of Data, users are more likely to find resources that describe or represent real-life concepts. How can we choose state-of-the-art algorithms for discovering and recommending resources from the web based on the characteristics of a given application domain and a given dataset? How can we benchmark the existing algorithms to select the one that best suits specific discovering and recommendation needs? How can we develop an algorithm that is dynamically adaptable to the characteristics of the dataset and independent of the application domain? This chapter presents a framework named AlLied for deploying and executing recommendation algorithms based on Linked Data. This framework allows developers and researchers to test different configurations of these algorithms in a range of application domains and datasets. Additionally, AlLied provides a set of APIs to be exploited as the primary component for Recommender Systems (RS)’ architectures: developers do not need to deal with the execution platform of the algorithms but only focus their efforts either on selecting the algorithm that best fits their needs or on writing a customized one. After conducting an in-depth analysis of the state-of-the-art recommendation algorithms executed in AlLied, the authors proposed a generic resource discovery and recommendation algorithm named ReDyAl which dynamically adapts itself to the characteristics of the dataset and the application domain. This chapter additionally provides an overview of the research problem in discovering and recommending resources as well as the various existing types of RS. It gives a detailed review of the Linked Data based RS and summarizes the results of an evaluation of ReDyAl deployed in the AlLied framework. 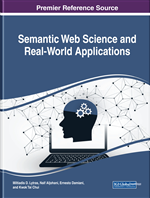 Finally, this chapter shows how it is possible to choose the more appropriate state-of-the-art resource recommendation algorithms for a given application domain and dataset by measuring its performance and accuracy. The recommendation problem is finding an item which maximizes the utility of the item for a given user. A formal definition is described in Equation 1 (Adomavicius & Tuzhilin, 2005). U is the set of users considered by the recommender system and I the set of items; they can be both extremely large. The utility function f: U ×I →R represents the usefulness of an item i ∈ I for a given user u ∈ U, where R is a totally ordered set (e.g. nonnegative numbers within a given range). The utility of an item is often represented by a rating, which indicates how a particular user liked a given item (Di Noia & Ostuni, 2015). For instance, a user gave the movie The Green Mile the rating 4 out of 5. The utility is not defined on the whole U ×I space, but only a subset is available. In fact, only a portion of ratings is known for each user. Thus, a recommender system has to assess the utility function from the available data and use it to predict unknown values. Typically, the recommendations are provided by selecting for each user the best N items, i.e. the items with the highest utility (top-N recommendations). Linked Data based RS: A kind of knowledge-based RS which uses linked data as source of data to infer relationships or to represent items and users, with the aim to improve the recommendation process. Recommender System (RS): A kind of algorithms or frameworks designed to recommend items of interest for an end user. These items can belong to different categories or types, e.g. songs, places, news, books, films, events, etc. Resource Description Framework (RDF): This framework is a recommendation of the W3C that provides a generic graph-based data model for describing resources, including their relationships with other resources. The graph data model of the RDF framework is composed of triples or statements. Each triple contains a subject, a predicate, and an object. Linked Data Endpoints: they are mechanism used in Linked Data to provide access to the available datasets. Endpoints may be interfaces to execute queries to the datasets in a similar way as in a database. The Web of Data: Unlike the World Wide Web that consists of human-readable documents linked via hyperlinks, the “Web of Data” refers to a global space of structured and machine-readable data. Linked Data Datasets: They are sets of structured data using the principles of the linked data. Much of them are interlinked so it is possible to not only exploit the knowledge of a single dataset but also the power of the semantic interconnection among them. Linked Data: They are a set of good practices or principles for publishing and linking structured data on the Web. Linked Data provide the means to make the Semantic Web a reality.